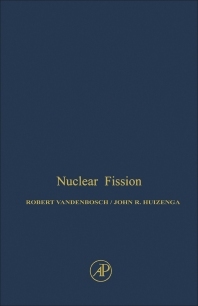 Nuclear Fission provides a comprehensive account of nuclear fission. This book is organized into 14 chapters. Chapter I introduces and discusses the discovery of fission, followed by a treatment of transition nucleus in Chapters II to VIII. Chapter IX deals with the theories of mass and energy distributions. The kinetic energy release in fission is described in Chapter X, while the distribution of mass and charge in fission is considered in Chapter XI. Chapters XII and XIII consider the emission of neutrons and ? rays from fission. Detailed studies of the ? particles accompanying fission are covered in the last chapter. This volume is intended for students, but is also valuable to research scientists interested in the physics and chemistry of fission.